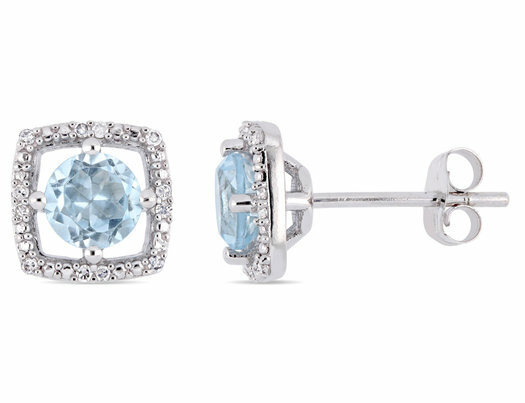 These chic halo square stud earrings are crafted in glistening 10-karat white gold and feature natural sky blue topaz and dazzling diamonds in a gorgeous halo. These earrings are secured with butterfly closures and make a gorgeous addition to any jewelry collection. Coordinate these earrings with your next evening ensemble for a classy look.